With that, Darren Coates became the Captain of the Krewe of Orion. For Darren, “’Throw me something mister’ is music to my ears”. 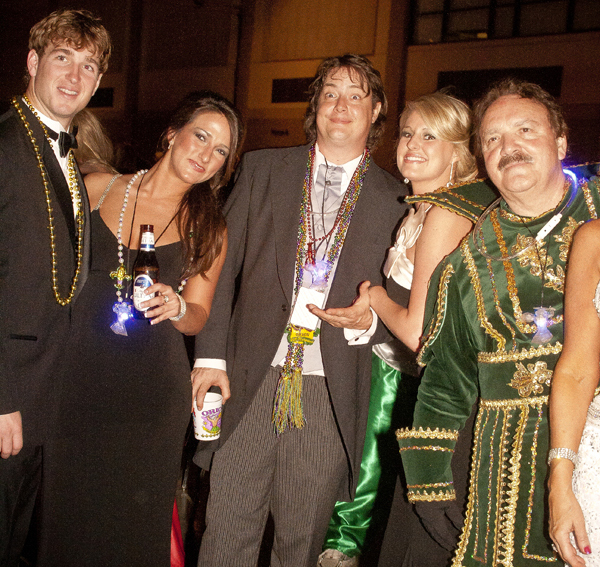 Raised in the Baton Rouge area, New Orleans style Mardi Gras has always been a part of his life. So, why not bring the fun to Baton Rouge? For his part, Charles Harvey became the Krewe of Orion’s President. Born and raised in New Orleans, Charles saw the formation of the Krewe of Orion as an opportunity to bring all of the carnival tradition to Baton Rouge, his adopted home. Sharing their dream, these two men set out to bring a traditional Mardi Gras krewe to the Baton Rouge area. They enlisted the help of energetic men to form the foundation for this organization. In a very short time, the krewe had grown from a handful of men to a club of over 300 members. Through the vision and leadership of its Captain and President, the Krewe of Orion annually brings an assortment of entertainment, family fun, service, and economic stimulation to the Baton Rouge community. From the presentation of the royal court at the Coronation to the full scale lighted nighttime parade of floats and marching bands, to the magic of Masquerade with its high-intensity entertainment and indoor parade – the Krewe of Orion is the hallmark of Mardi Gras tradition. From its beginning, the Krewe of Orion has worked to share the tradition and spirit of Mardi Gras in Baton Rouge. It will continue to “hunt” for ways to promote tourism, community spirit, and goodwill among the citizens of our area.